In The Undersea Network, Nicole Starosielski examines undersea fiber optic cables, the landmarks and cable systems where the networks emerge and become materially entangled with the land and the people who maintain them, and the environmental implications for this century-plus long practice of building such cable networks. 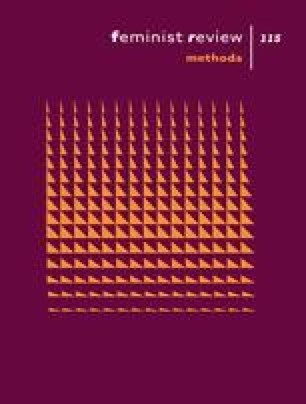 Although it was published in 2015 as part of Duke University Press’s Sign Storage, Transmission series, the aim of which is to publish works that reassess the scope and practice of studying media, Starosielski’s book integrates media and technology studies, feminist new materialisms and transnational feminisms. While the author’s background is not officially in women’s and gender studies—she received her doctorate in film and media studies from UC-Santa Barbara—I would argue that her book is conspicuously undergirded by feminist theory. In particular, her concern for the material considerations and consequences of colonial and neocolonial transnational expansion (as signified by the movement of cable networks) is exemplary of the kind of feminist epistemology Starosielski engages with throughout her analysis. Most broadly, The Undersea Network offers a historical overview of undersea fiber optic cables in order to understand their significance within the field of media and technology studies. In doing so, Starosielski applies a number of useful frameworks through which we can understand how these infrastructural systems affect issues related to global politics and national security, information flow and circulations of knowledge, and the oceanic environments in which the cables are embedded. Specifically, Starosielski employs these analytic frameworks (dubbing them ‘turbulent ecologies’, ‘pressure points’, ‘strategies of insulation and interconnection’, and finally ‘traction’ in her introductory chapter) in order to make visible the fiber optic cable infrastructure that supports our major means of advanced communication in the twenty-first century (p. 21). Thus, these five frameworks serve as both handy guideposts for the reader unfamiliar with the subject matter, as well as critical analytics that help draw connections between the different disciplines with which Starosielski is engaged. Each of Starosielski’s six chapters utilises these frameworks well. Chapter 1, ‘Circuitous routes’, provides the necessary historical background for the reader to understand the scope of her study. Following this contextualisation, Starosielski analyses narratives of ‘connection’ (the initial placement of undersea fiber optic cables) alongside narratives of ‘disruption’ (events that disconnect the cables and require reconnection) in Chapter 2, ‘Short-circuiting discursive infrastructure’. Chapters 3 through 5, ‘Gateway’, ‘Pressure point’ and ‘A network of islands’, consider the undersea infrastructure as networks affecting—and being affected by—the evolving geopolitics and globalised business practices of the twentieth- and twenty-first centuries. The final chapter, ‘Cabled depths’, calls on scholars and activists in other disciplines and institutional settings to also consider the materiality of undersea fiber optic cables in order to make ‘epistemological interconnections’ between different academic fields (p. 24). Methodologically speaking, Starosielski uses what she calls a ‘network archaeology’ in order to examine and ultimately draw conclusions about the undersea fiber optic cables and their termination stations. She notes that this approach ‘draws on archives and historical narratives to shed light on emerging practices and, in light of these practices, to offer new vantage points on the past’ (p. 15). What is especially noteworthy about her methods is that much of Starosielski’s archival research involved physically visiting both former and active cable stations in places as distant as Hawaii, the Philippines, Canada, Fiji and Guam, threading anecdotes and photographs from her visits throughout her book. Even more intriguing are Starosielski’s accounts of her visits to abandoned cable stations, where sometimes all that remains of the stations are overgrown ruins or, in other cases, just commemorative plaques noting that a station once existed in that space. The confluence of the spatial, temporal and environmental impact these cable stations had on the places where the cable networks surfaced speaks to the overarching goal of Starosielski’s project: to underscore how media infrastructures are embedded in complex, transnational circulations of information and power. For Starosielski to make this claim by visiting various cable stations and examining her own subject position and affective responses to them (both literally and figuratively) makes for an even more effective analysis. Ultimately, I was struck by how Starosielski draws important parallels between the transnational movement of the cables; the bodies who build, operate, and use them; and the flow of geopolitical power. She writes in Chapter 3 that for a variety of economic, technological and social reasons, colonial powers used local labour to set up and maintain their cable termination stations, making them a kind of porous boundary between the colonised and the coloniser. Similarly, Chapter 6, ‘The aquatic afterlives of signal traffic’, examines how once the actual, physical cables are built and embedded in their new, undersea environment, a similar boundary disruption takes place. Once entangled, both the fiber optic cables and the ecology of the ocean adapt to create a new environment, resulting in new phenomena often ignored by media and technology scholars. The interdisciplinarity guiding Starosielski’s analysis (from fields as diverse as media and technology studies, feminist new materialisms and transnational feminisms), coupled with the truly global scope of her study makes The Undersea Network a notable and compelling entry into the ever-expanding field of feminist new materialisms. This review was written as part of Professor Lessie Jo Frazier’s graduate seminar ‘Transnational and Global Feminist Theory and Praxis’ at Indiana University.